Focal Maritime Services, which provides ship agency and logistic services in Malta, has been voted as the best agent from an international network of shipping agencies namely World Wide Ship Agencies Association. WWSA, which is represented in 39 countries, aims to present to Shipowners, Charterers and Operators a reliable network of unrelated, independent and highly professional multimodal agents in order to provide instant information and back-up to the shipping and transport world whenever required. Through the constant screening of the participating Members, both financially and by performance, WWSA can guarantee a reliable, financially sound expert partner in any of the countries where she has member-presentation. 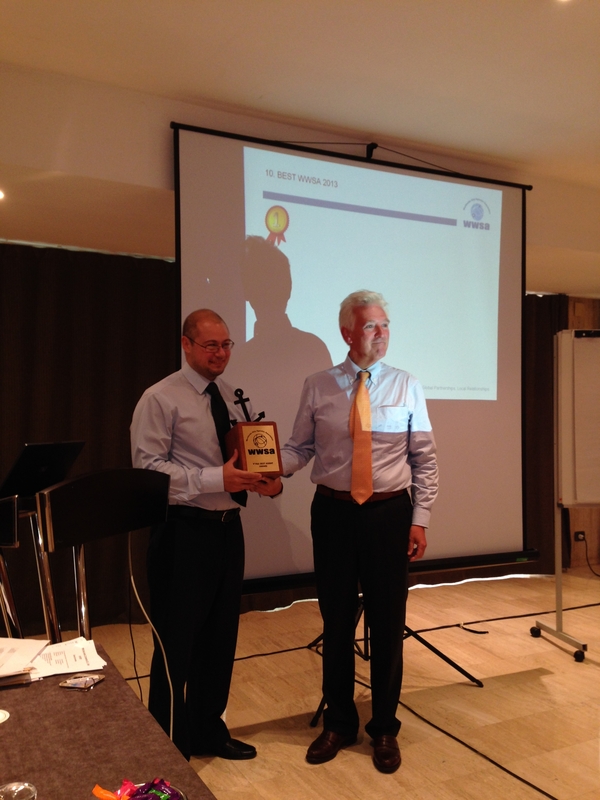 The presentation of this award, which is the first of its kind within WWSA, was made to the representative of Focal Maritime Services Mr Jonathan Xerri during the General Assembly held in Barcelona on the 21st of October. Focal Maritime Services represents in Malta shipping lines, international freight forwarders and logistical support companies.